Contrex® CA is a concentrated acidic liquid detergent made for use in descaling, mineral removal, oxide removal or in applications where an acidic detergent is indicated. 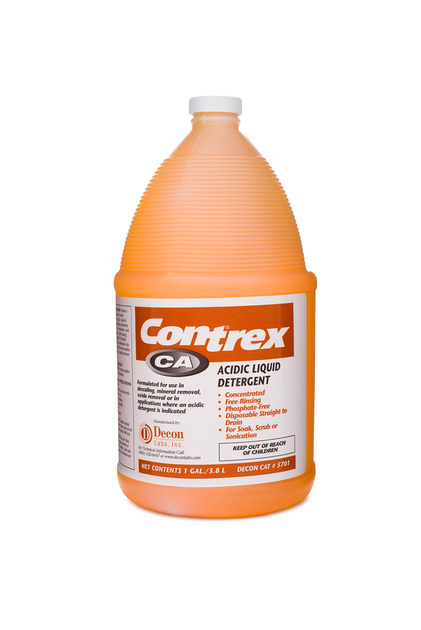 Formulated with organic acid, Contrex®CA can be used as a manual, soak or ultrasonic cleaner. It is phosphate-free and disposable straight to drain.